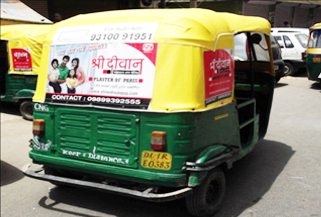 Taxi Advertising in Delhi, Taxi Advertising Agencies & Agency in Delhi, Advertising Agencies For Taxi in Delhi. 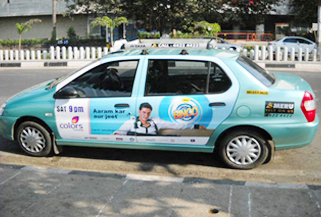 Taxi top advertising is catching up the advertisement market rapidly because of its low cost and ample availability. Taxi ads are visible day and night. Taxis travel long distances and are very much seen at airport, hotels, popular hangouts, hospitals etc .Taxi ads are a boon to small businesses, small establishments, startups and all those who have a constraint on their marketing budget, but still would like to have advertising done in order to increase their business sales. 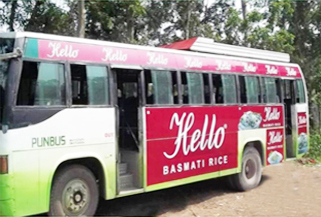 An advertisement on taxi has lead to boosting sales quite rapidly. Taxis ply round the clock on city roads and remain parked near important destinations most of the time waiting for passengers making the ads visible to nearby audience .During night the glowing signs on the taxis are an interesting view which captures the attention of a passerby intriguing about the product on display. 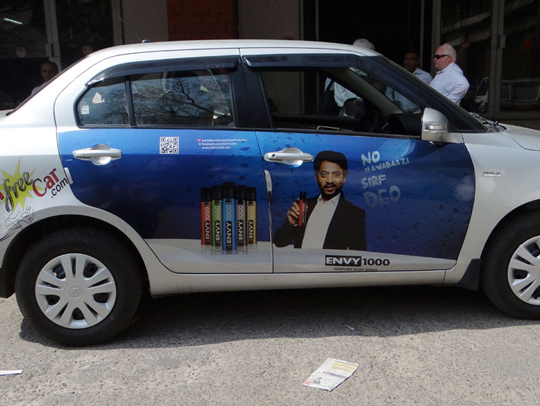 As compared to other advertising media like newspaper where in only an image is displayed, a taxi gives more benefits of a lighting display which is attractive and affordable on the cost. Taxis almost travel to every place, from elite and posh localities, to even nooks and corners of unreachable lanes. Some taxis offer different rates for different places of showing the ad material, the side of a taxi being more prominent then the back is valued a bit more. The approach to Taxi advertising has been made easily accessible due to the building competition around different ad Medias. Private professional cab services are more into these types of ads because they have hundreds of taxis running around the city and give better business offers to corporate for large tie ups. Small business can simply an agency and book a space in their desired target area and for the desired duration for the ad to appear. Lot of flexibility is being offered in taxi advertisement business. 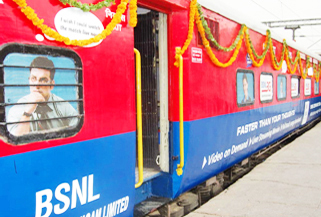 The markets are sure to change with new and innovate ideas coming up day by day.